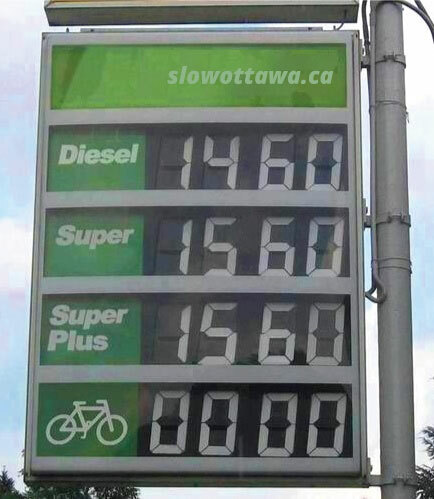 Over on Urban Commuter today, the intrepid Ottawa cyclist/blogger Hans Moor posted a cautionary tale about the sensible and senseless use of new media. 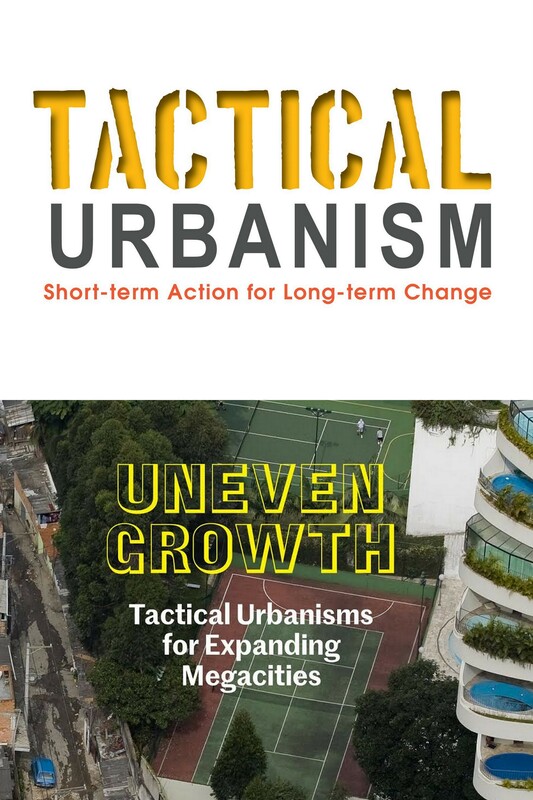 His reflection inspired me to share a story about a very recent Slow Ottawa success, with no small thanks to Hans and other advocates for smart, sustainable urbanism. Slow Ottawa began a few months ago as the site you’re reading, plus a Twitter account @slowottawa. But the start has been . . . well . . . slow, due in no small part to my need for paying work and my aversion to Facebook. To date, the most intensive public attention has not been to the present site nor the Twitter account, but rather on the Pinterest—a pinboard-style photo-sharing website. As so often happens, that relatively painless component of the enterprise has been the source of the greatest success. So, in the spirit of open source that keeps me in financial straits, I’m going to tell you precisely how the sausage was made. Presumed self-portrait by Hans Moor (L), and a couple of NATCO illustrations (R). The real success has been over at the Streets for Everyone board, which began to take shape, ten weeks ago, as an experiment in posting five photos from Hans’s superb Urban Commuter blog (like the one in the image above, with what I take to be a Jan van Eyck-inspired portrait of Hans himself in the traffic light mirror), plus some illustrations from the recently-published NACTO Urban Street Design Guide. Since that quiet beginning the board has grown to comprise more than a hundred items, with a notable Dutch and American bias but some local content. A couple of days ago the whole thing suddenly went viral, by my modest standards. And it basically happened because some guy, somewhere, took ten minutes to repin scores of my posts. In the ensuing couple of days, thanks to the goodwill or laziness of people who retained my captions, there have been many hundreds of repins of items that originated on that board and migrated, Facebook-style, to other boards across the web. It’s deeply gratifying, at a time when everyone is clamouring for media attention, to see that so many people are so very hungry for images and analyses of pedestrian- and bike-friendly urban initiatives. 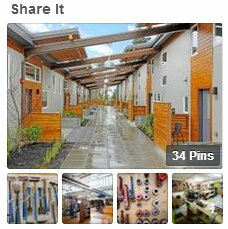 As a free, robust, image-friendly, tablet-optimized resource, Pinterest is a tremendously effective way to get the word out. 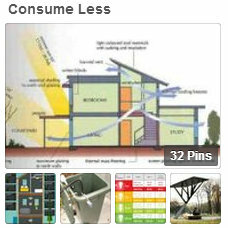 So I encourage design advocates everywhere to give it a whirl. And if you’re one of those Facebook people, kindly use it to share the post you’re reading. I think my Pinterest board worked because, as a rule, I choose compelling images, and I write captions enticing readers to click through to stories by credited authors. Taking advantage of the 500-character caption limit, I then politely encourage them to go back to the main board for more rich content. While I can easily imagine a successful board with a local focus, this one happens to be dedicated to world-class urban design ideas that are of relevance to Ottawa and a thousand other cities. And since it’s working it’s likely to remain that way. But whenever I find great local content like this and this (not to mention Hans’s travel photos) it will merit space on the board. 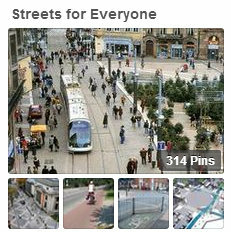 Since the pins are only as good as the content they feature, I want to extend my heartfelt thanks to Hans and the thousands of other complete streets advocates around the world for their tireless documenting of smart urbanism in word and image. 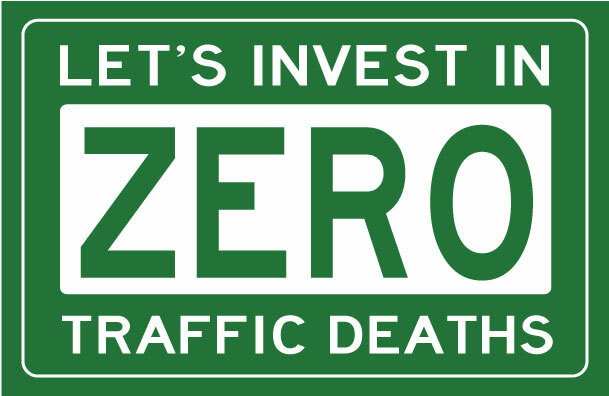 If we can generate enough traffic for each other then we can make an exponential difference. 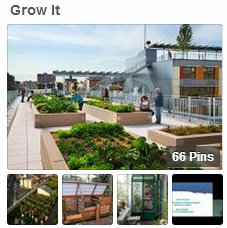 There are also some other Slow Ottawa Pinterest boards. For all you low-emission gearheads there’s lighter bike content over on the Slow Ottawa Propel Yourself board, and for craft enthusiasts there are pins of photos I took for my profile of Kathrin von Dehn’s workspace. But it’s the Streets for Everyone board that’s getting all the attention right now, so that’s where I’ll be directing my limited Slow Ottawa energies in the coming days and weeks. 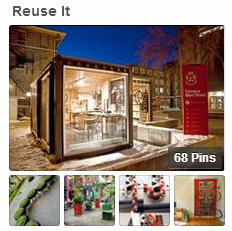 Another big focus is sessional teaching in a Carleton design class where we’re using this monster Pinterest board. As I write, the talented architecture students are making maps based on Ottawa open data, so stay tuned for the results when it comes time to give them away. Last but not Least: Get Involved!